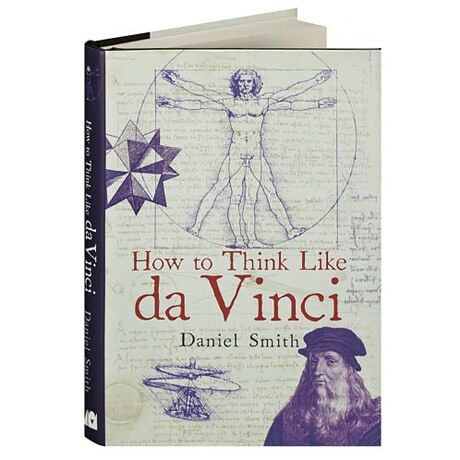 The author of 100 Places You Will Never Visit and 100 Things They Don't Want You to Know, as well as How to Think Like Einstein and How to Think Like Sherlock, Daniel Smith here introduces us to the mind of one of the greatest artist-inventors who ever lived. Leonardo da Vinci is famed for creating some of the most iconic images in Western art, including the Mona Lisa and The Last Supper, yet he was also a sculptor, architect, musician, mathematician, engineer, weapons designer, and anatomist. Smith explains how Leonardo saw the links between art and science, pursuing perfection and accuracy in his work and developing numerous techniques we continue to use to this day.